WHAT IS A PRIVATE CHAT? Private Chats are end-to-end encrypted messages that can only be seen or heard by you and the person who is receiving your message. HOW DOES A PRIVATE CHAT DIFFER FROM A REGULAR CHAT? While all Voxer messages are secure, when you create a Private Chat only the person who is receiving your message can listen, read, or see it. No one else. Not even us. To start a private chat, click on the NEW CHAT ICON and select PRIVATE CHAT. Select the recipient and send a message. The end-to-end encryption is complete once the connection has been established with the other user. 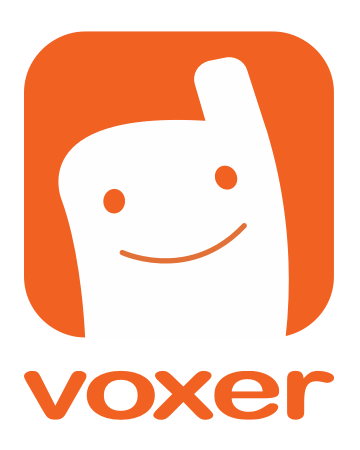 Logging out of your Voxer account will erase all private chats. Note: Private Chats will only be visible on the device where you create the chat and the device the recipient uses to open the chat. WHAT CAN I SEND IN A PRIVATE CHAT? With Private Chats, you can send live voice, text messages, pictures, videos, GIFs and share documents. Private Chats is not supported on group chats at this time. HOW DO I VERIFY THAT MY CONVERSATION IS END-TO-END ENCRYPTED? Every Private Chat is market with a YELLOW LOCK on the chat header and next to each Private Chat message. You may also check for a Safety Number. A safety number allow Voxer users to verify the privacy of their communication with a contact, by comparing a number with each other's device. If you wish to verify the security of your end-to-end encryption, you can compare the Safety Number from your device with the Safety Number on your contact's device. CAN I USE PRIVATE CHATS ON MULTIPLE DEVICES? Yes, simply login from a new device to activate Private Chats. If you are already logged in on multiple devices, start a new Private Chat to activate that device. From the Device Management screen, you will see a list of all active devices and a Device Code. Compare your device code with all of your devices. The code on your devices should match. Every time a device is added or removed, your Device Code will update. Please note once you log out from a device, all Private Chat messaging history will be removed from that device, however, the data will still be available on any other active devices. HOW DO I DELETE A PRIVATE CHAT? Like all other Voxer messages, you may delete a chat by SWIPING LEFT on the message you want to delete. Keep in mind that deleting a Private Chat from your device won't delete it from your friend's device. You can't delete sent or received messages from someone else's device. DO PRIVATE CHATS WORK ON VOXER FOR WEB? Private Chats is currently only available for iOS and Android devices. WHAT HAPPENS TO MY PRIVATE CHATS IF I LOGOUT OF VOXER? Logging out of your Voxer account will erase all of the content in Private Chats. WNY NOT JUST MAKE ALL CHATS END-TO-END ENCRYPTED BY DEFAULT? A Private Chat is an opt-in feature that must be activated per chat. We made it this way in order to keep available the seamless cross-platform functionally and chat history that is so valuable to so many of our users.